Reading the Bible should be part of your daily routine. The word of God gets into your spirit and changes you, if you let it. 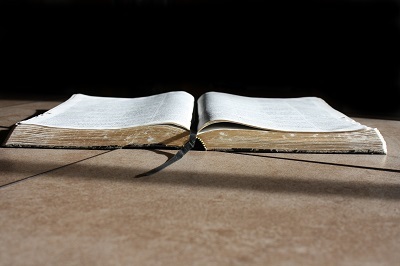 There are many books and programs on reading the Bible through in a year so you cover all the Old and New Testaments. Personally, I’m not a big fan of those. Here’s why. When you approach your Bible reading to check off the chapters you have to read for your daily quota, it’s very easy to miss what God may be trying to teach you because you’re just trying to finish. The daily quotas for a year-long program take a bit of time. What happens if you don’t have time that day for all that reading? Now you’re behind and not actually looking forward to catching up. And do you really need to read through all the genealogies? Personally, I think your Bible reading should be personal. Read through the Bible yes, but at your own pace. Don’t put pressure on yourself to finish in any time frame. Why? Because you don’t know how long the Holy Spirit will take to teach you what you need to know. When you discover scripture that speaks to your spirit, that’s the time to stop and absorb what’s being taught. Don’t think about it and go on, camp out for a while. Find out everything there is to learn. That may mean going back for several days until you’re ready to move on. Reading through the genealogies? Why? Unless you’re really interested in them, I say skip them. If you are a new Christian, start with Matthew, Mark, Luke and John. See the all different aspects of the story of Jesus. Then work through the rest of the New Testament. After you have a good grounding of the New, go to the Old. Allow the Holy Spirit to teach you as you do. It will unlock a wealth of wisdom. After you’ve read through the entire book, you’ll find that there are certain books that really speak to you. For me they are Isaiah and the Psalms. I could just read them over and over again. And that’s ok. Let the word speak to you and enjoy it. It’s one way that God is talking to you. This entry was posted in Blog, Holy Spirit on June 9, 2014 by Diana Symons.